There are often many questions and some confusion on what the Church teaches about charismatic praise and cooperating with the gifts of the Holy Spirit. We hope these few facts and answers will clear things up for you. What is resting in the Spirit? What is the gift of tears? What is the Life in the Spirit? Read or download this PDF of our Holy Father’s message about the Charismatic Renewal and how it brings such life to the Church. 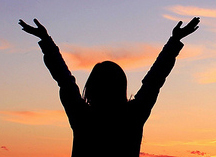 Expressive praise Charismatic worship is often characterized by the raising of hands, clapping, song, and spontaneous praise. It’s very scriptural—the psalms are very exuberant. The commandment is to love the Lord your God with your whole heart, your whole soul and your whole strength. Charisms are gifts of the Spirit used to gather, sanctify, and minister life in the Church and in the world. Charismatic gifts are as important to the Church today as they were in apostolic times. These gifts work to bring unity, to empower and to serve the Church’s needs. The Church has declared: “Whether these charisms be very remarkable or more simple and widely diffused, they are to be received with thanksgiving and consolation since they are fitting and useful for the needs of the church.” (Dogmatic Constitution on the Church, #12). Scripture references cover a broad range of gifts, from prophecy and healing to mercy, teaching, almsgiving, perseverance, joy, encouragement, hospitality and leadership. St. Paul lists the Spirit’s manifestation gifts in 1 Cor 12:4-11. Sometimes called Word Gifts: Tongues and Interpretation of Tongues, and Prophecy. Discernment is the capacity to know whether a gift or inspiration has at its source the Holy Spirit, is of human origin, or of evil influence. Paul says that the Spirit always bears witness to Jesus (1 Cor 12:3). Tongues (glossolalia) is one of the most common spiritual gifts and is often the first gift given. Tongues is a gift of prayer in a different language—the language of the Holy Spirit. Those praying in tongues do not know what they are saying, only that they are praising God. “In the same way, the Spirit too comes to the aid of our weakness; for we do not know how to pray as we ought, but the Spirit itself intercedes with inexpressible groanings.” (Romans 8:26). Interpretation of Tongues is the charism of interpreting some tongues (not translating) for the sake of giving a message to the group. It is the phenomenon of speaking publicly in tongues and having someone else understand and express the meaning of tongues. Resting in the Spirit is the power of the Holy Spirit filling a person with God’s divine love. The Holy Spirit is free to do many spiritual actions in the person’s mind, will, imagination, memory, and emotions when one completely rests and relaxes in His love. When a person is being filled with the Spirit, he/she often but not always finds himself overcome by divine love. Because we are human, this influx of divine love may cause a person to feel like he/she is fainting. However, it is not fainting. The person remains fully conscious of his/her surroundings as he rests. This experience should not be feared for it is God the Holy Spirit at work in a special way. It gives God the opportunity to move more powerfully and directly within a person’s body, mind and spirit while one rests. In His wisdom, God has chosen this particular means to touch this person and to bring about healing and wholeness. The actual “gift of tears” is received mostly within the context of the Holy Spirit’s renewing movement (the baptism of the Holy Spirit). There are five facets of the renewal in which weeping and the “Gift of Tears” may be appropriate. Do not expect there to be a very clear demarcation line between human weeping and the Spirit’s gift of tears. Charisms are gifts given to us as individuals, and it is through our own individuality that they operate. So whatever happens is inevitably a mix of the human and the divine. Discerning the divine inspiration for tears is hardly necessary. Unlike, say, the Gift of Prophecy, we are not claiming any authority because of our tears, nor is the Church guided by them or us because of them. Emotion is finding a rightful place as a part of our total loving response to God’s love whether of penitence, thanksgiving, or adoration. In preparation for ministry, the changing of our priorities, or removal and destruction of our idols can result in weeping. New tears can be of healing, release, and liberation whether spiritual or mental. God can only meet us where we are, and it is often a long and painful journey, and the way may well be the way of tears. As we grow in our recognition of God and His work, we may become more sensitive to the burden and sorrow of evil and sin around us, causing us to weep. WHAT IS LIFE IN THE SPIRIT? During the Last Supper, Jesus promised to send the Holy Spirit to remain with His Church forever. That promise was fulfilled through the charismatic experience at Pentecost. Repeated affirmations by our Popes have encouraged us to embrace the charismatic dimension of our faith. More than 120 million Catholics in 235 countries have experienced the touch of God through the renewal. But there is more…so much more for each of us! The Life In The Spirit Seminar continues the Pentecost miracle today in our communities. The Holy Spirit wants to empower us, to give us His gifts and to touch us personally. 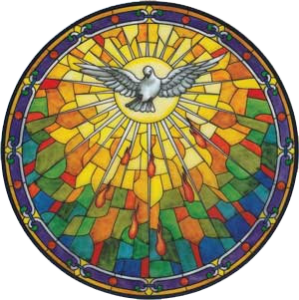 There were four stages in the events of Pentecost: They were all filled with the Holy Spirit; they proclaimed God’s mighty works; God poured out His charisms on all flesh; and the Father made Jesus Lord. The principal instrument by which the renewal in the Spirit “changes people’s lives” is the baptism in the Spirit. This is a rite that occurs with gestures of great simplicity, in peace and joy, accompanied by an attitude of humility, repentance and openness to being children to enter the kingdom. It is a kind of epiclesis—that is, an invocation of the Spirit upon a member of the body of Christ. It is a renewal and actualization of Christian initiation. A personal Pentecost! To some, He wants to give the gift of healing; to others, the gift of speaking in tongues; and to still others, the gift of prophecy. 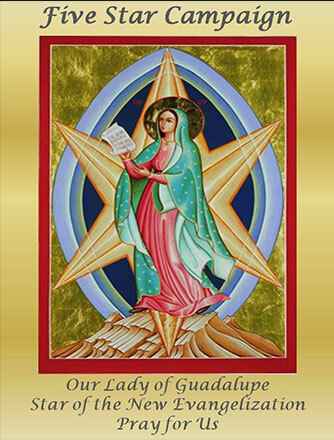 As St. Paul says in Corinthians 12:11, “…one and the same Spirit produces all of these, distributing them individually to each person as he wishes.” The Catechism (CCC-799) tells us that these extraordinary or simple and humble graces of the Holy Spirit called ‘charisms’, have been given to benefit the Church and should be accepted with gratitude. They are a wonderfully rich grace for the apostolic vitality and for the holiness of the entire Body of Christ. If you would like a deeper union with God, a greater love for others, a fuller presence in your life of the fruit of the Holy Spirit, a fresh appreciation of Scripture, a desire for Christian fellowship, one or more of the charismatic gifts of the Holy Spirit such as discernment and wisdom, then you won’t want to miss a Life In The Spirit Seminar and this wonderful opportunity to experience the power and presence of the Spirit in your life! 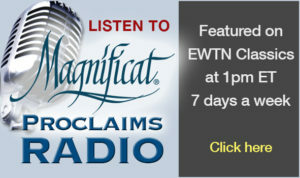 Check your Magnificat, Diocesan and Parish calendars for upcoming Life in the Spirit Seminars in your area.